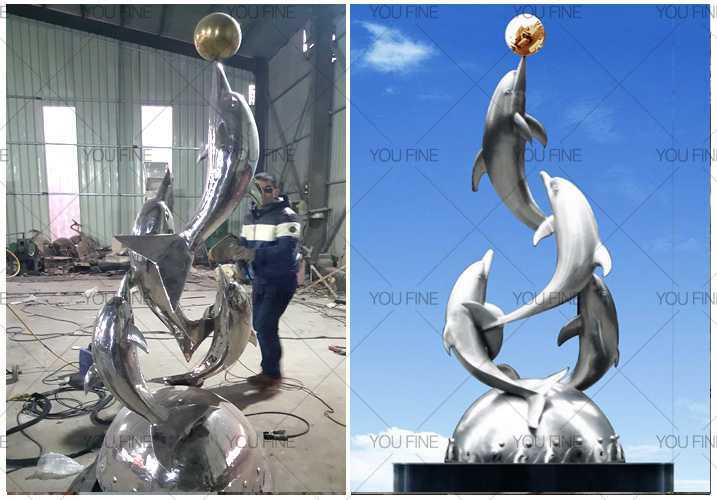 In March 2015 I received an inquiry from the American customer Ruby about stainless steel dolphin sculpture. Ruby wanted a stainless steel sculpture on the beach, a sculptural design avant-garde. Four small dolphins leap out of the sea while snatching a ball. Under the dolphin has a large stainless steel ball. 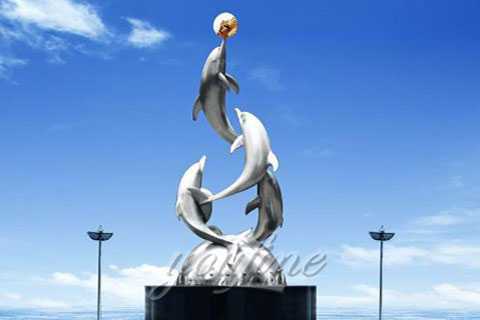 This fountain is actually not complicated shape, but the difficulty is that each dolphin pose and size are different. And dolphins are almost vacant. 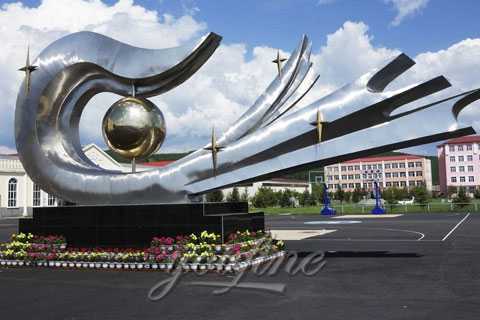 Our skilled workers made many proposals about this sculpture. The successful completion of the customer’s request. We send the entire production process one by one to the customer inspection. Finally in 4 months after the customer received this product. The customer is very satisfied with the installation and sent to us after the installation of photos. And look forward to the next cooperation. 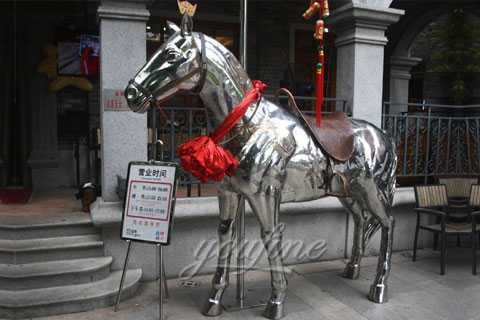 You Fine could make stainless steel sculptures following customers’ pictures, designs, sizes. we could also make customized designs and size. its more suitable to decorate the places with modern style, including outdoor garden, plaza, shopping mall and hotel decoration. 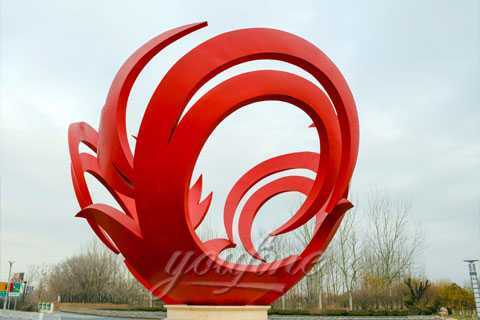 By sea (Special for life size sculptures and large sculptures, can save lots of cost). Please kindly inform us! Will find best delivery way for your reference according to your orders and local situation. 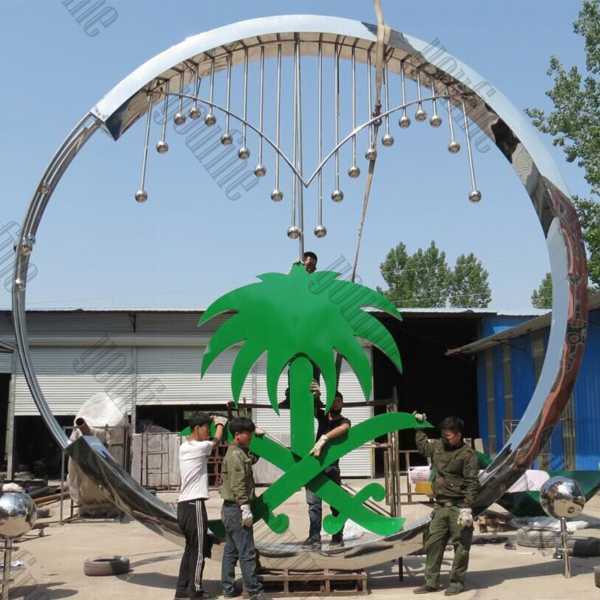 All of our Modern Metal Abstract Sculpture have our 30-years quality guarantee, which means, if you find any unusual problem with your purchased sculpture, you can quickly approach You Fine for the necessary solution for free. In severe cases, money will be given back in less than 7days.